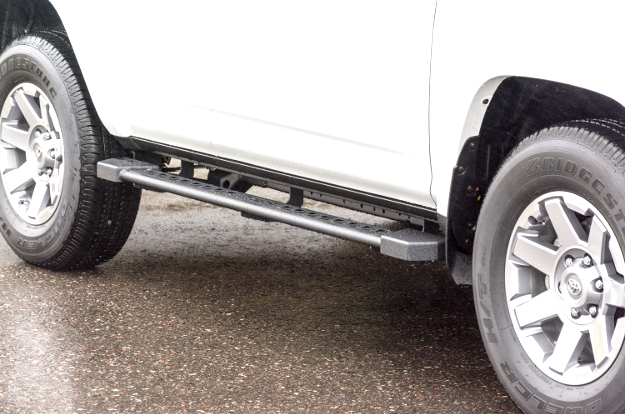 There are countless running boards out there, as well as many different products designed to protect your vehicle's rocker panels. 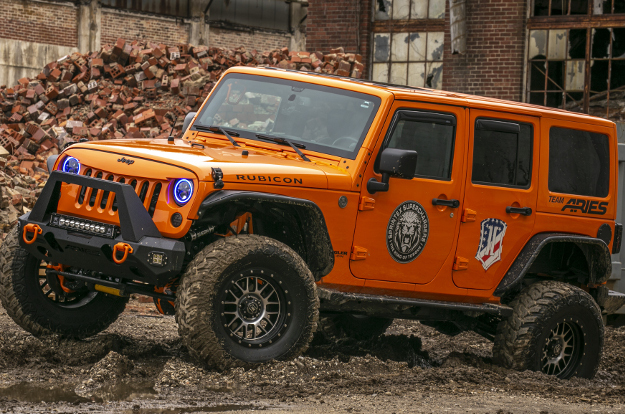 For the perfect combination of both, ARIES Rocker Steps provide a convenient step up into your offroad truck or Jeep, as well as extra rocker panel protection. ARIES Rocker Steps feature a high-strength, fully welded construction of carbon steel, as well as a durable black finish that is uniquely specialized to face the outdoor elements. 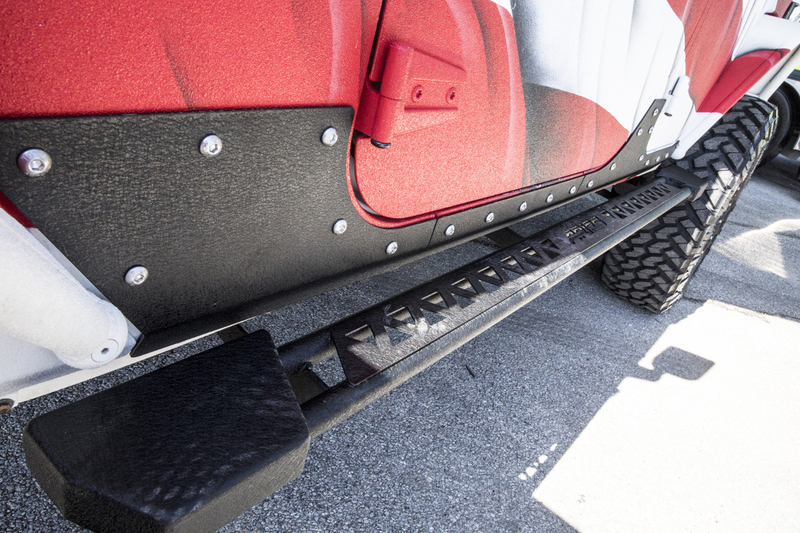 All Rocker Steps install with no drilling required and are available for pickup trucks and the Jeep Wrangler. With the unique pairing of side step and rocker guard functionality, ARIES Rocker Steps are perfect for the trail. 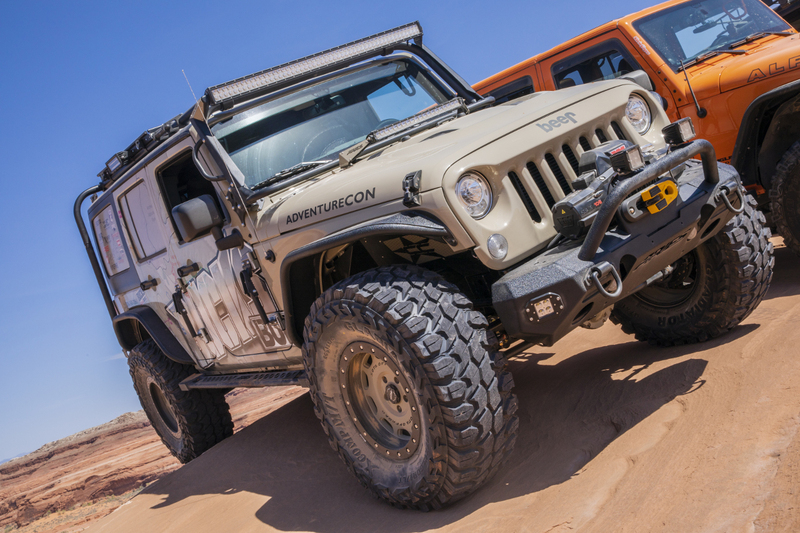 They provide a dependable step up into offroad Jeep Wranglers and custom pickup trucks. ARIES Rocker Steps are fast and easy to install because each set is made vehicle-specific. They mount with no drilling required and feature welded brackets for enhanced strength and rigidity. On the trail, rocks, branches and other debris can quickly damage your vehicle's rocker panels if they are not properly protected. 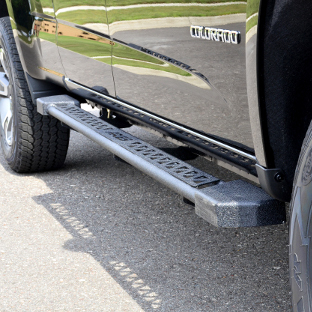 ARIES Rocker Steps provide extra protection for the sides of your truck or Jeep, while simultaneously offering a fully functional 3" wide stepping surface. 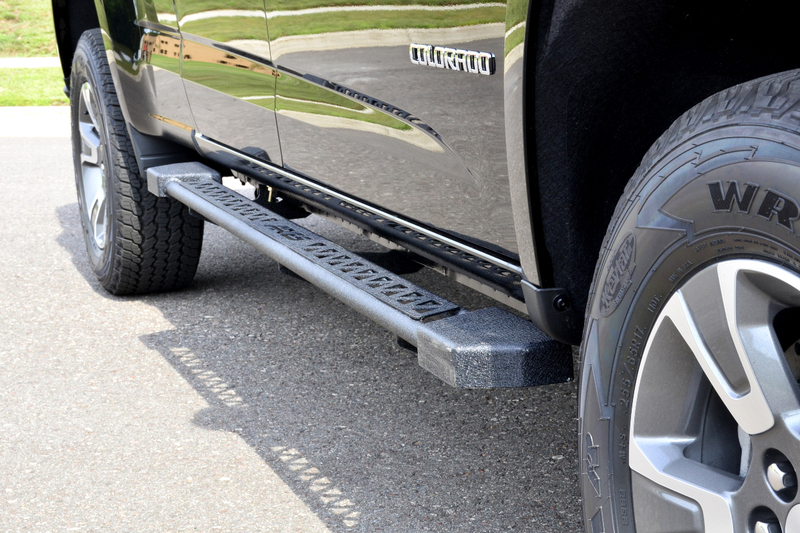 Rocker Steps are a superior choice over most rocker panel protectors because of their integrated stepping surface. 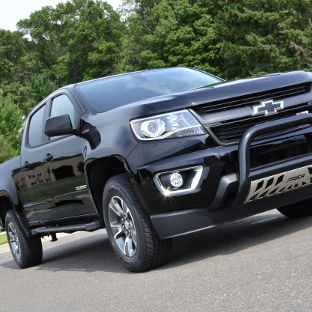 They are also better suited for the trail than most running boards because of their enhanced, all-steel strength. 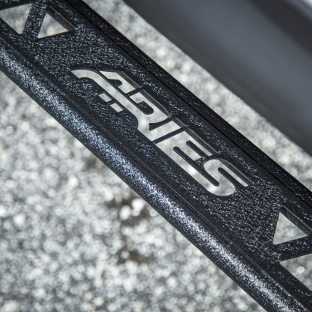 ARIES Rocker Steps not only provide a solid step up into your truck or Jeep, but they also feature a flat profile that ensures plenty of ground clearance. 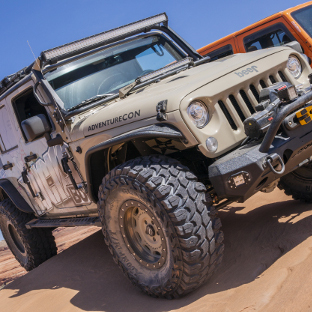 This essential for any offroad ride. 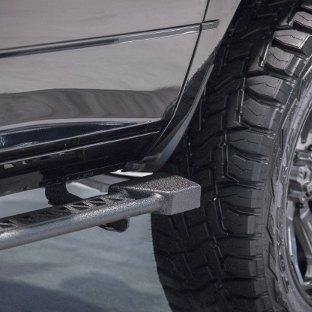 While many side steps and running boards mount low on the vehicle, Rocker Steps are designed to mount high-and-tight against the rocker panels, keeping them elevated above potential threats. 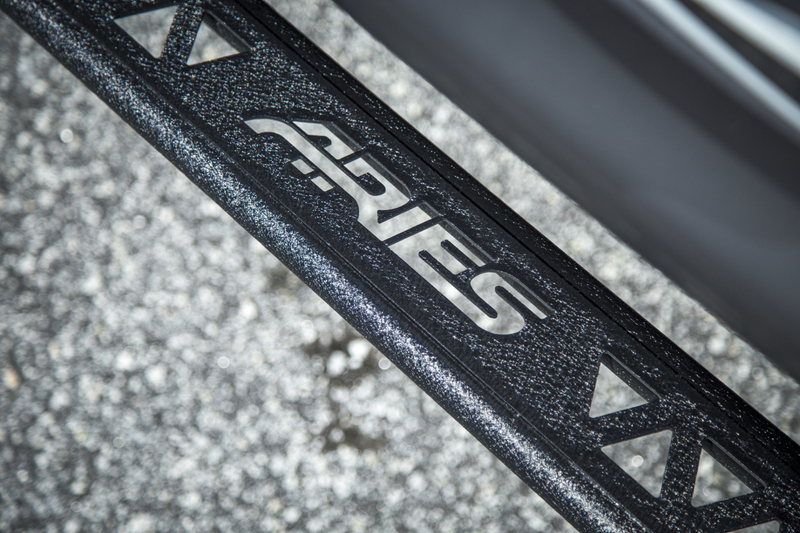 For extra protection for the sides of the vehicle and a solid step up, ARIES Rocker Steps are constructed from high-strength carbon steel. Not only that, but they are complete devoid of plastic parts. 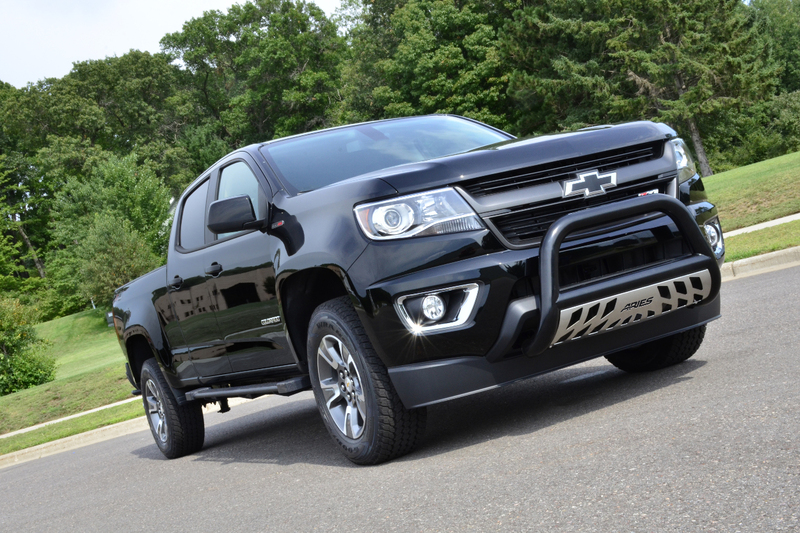 These rocker guard side steps feature a strong, double-tube layout with a 3" wide welded top plate and welded end caps. 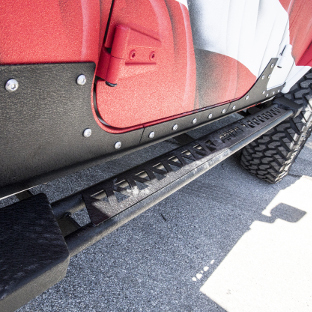 While Rocker Steps are not intended to completely replace the functionality of rocker guards or rocker bars, they do add an extra barrier to help prevent damage to the vehicle's sides. To add even more strength and make installation quick and simple, ARIES Rocker Steps come with pre-welded, vehicle-specific mounting brackets. Welded to the running board itself -- as opposed to being bolted on -- the brackets provide the Rocker Steps with greatly enhanced strength and rigid. 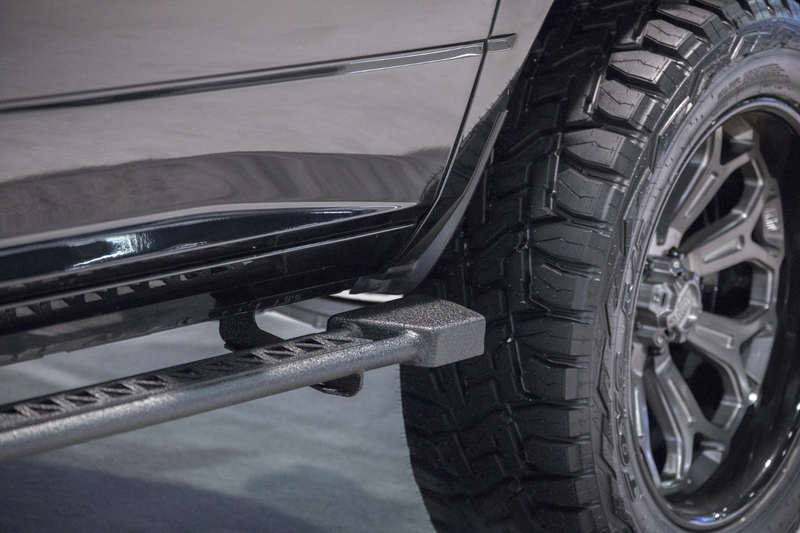 You not only get a solid step up into your offroad truck or Jeep, but the steel side steps are able to better stand up to obstacles and offroad debris. The installation process is streamlined by using pre-existing mounting locations on the vehicle. 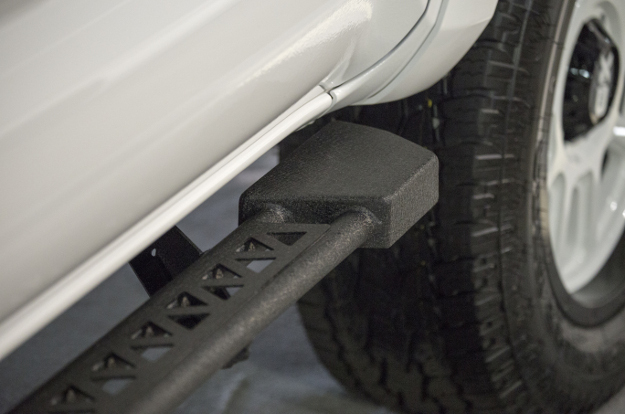 Each set of Rocker Steps is designed to fit a specific vehicle application, eliminating the need for drilling and cutting down on installation time. 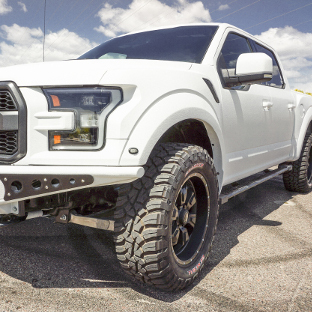 A vehicle-specific install also ensures a custom fit without the hassle of custom modifications, and it boosts the strength of the Rocker Steps even more. Each set comes with all necessary mounting hardware for a complete installation. 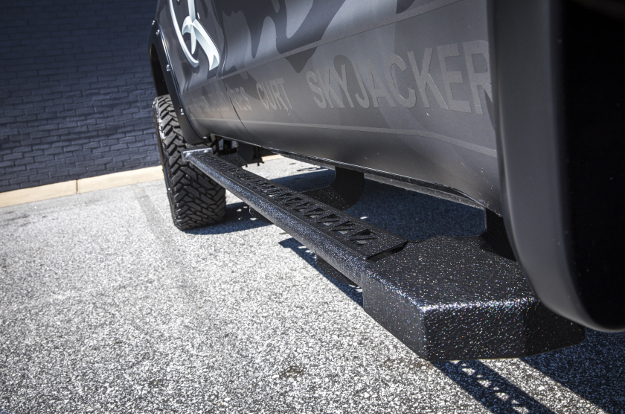 To enable Rocker Steps to withstand the rigors of the outdoor elements and offroad trail, they are finished with a unique, dual powder coat finish. First, an E-coat is applied to shield the carbon steel with a rust-resistant layer. Then, a highly durable textured black powder coat is applied for superior rust, chip and UV resistance. 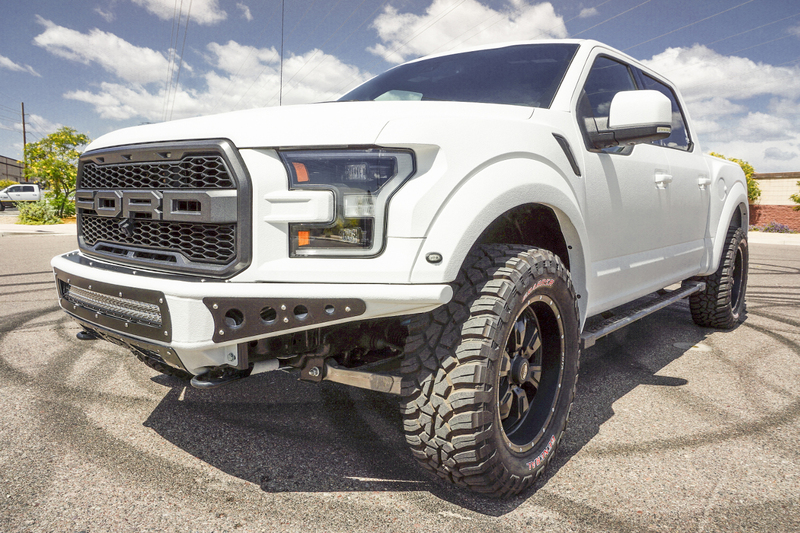 This textured powder coat also provides the unique advantage of helping to hide minor scratches, scuffs and dirt accumulated on the trail, keeping your truck or Jeep looking clean like a pro.